Manovo-Gounda St. Floris's floodplains, savannas, and wildlife face great danger from poor management and poaching. A rhino in the Manovo-Gounda St. Floris National Park. Central African Republic is a landlocked country in Central Africa bordering six countries, Cameroun, Chad, DRC, Republic of Congo, South Sudan, and Sudan. The country is home to many National Parks. Manovo-Gounda St. Floris National Park has floodplains, savannahs, and wildlife facing great danger from poor management and poaching. The Park is the largest in the Central African savannahs straddling two ecological regions, the park’s expanse is home to remarkable flora and fauna including species such as leopard, buffalo, and the African elephant. The park’s biodiversity led to its inscription as a World Heritage site in 1988. The Manovo-Gounda is a national park and a UNESCO World Heritage site in the Central African Republic. The park is situated north of the Republic and lies on most of the eastern part of the Bamingui-Bangoran Province. The park stretches over an area of 1,740,000 ha and is subsequently the largest savanna park in Central and West Africa. The park is extremely significant because of its rich flora and fauna biodiversity. The National Park straddles three major zones: the grassy floodplain of the Bahr Kameur and Bahr Aouk rivers on the northern part; transitional plains of either bushy or wooded savannah with occasional small granite inselbergs and the Massif des Bongo on the southern region. The park’s climate is classified as tropical, semi-humid Sudano-Guinean. Rainfall in the region is concentrated in the period between June and November and averages between 950 and 1,700 mm annually. The park is a particularly important region of study to assess the environment changes being witnessed across Sudan and Sahel, due to factors such as drought and overgrazing. Though having a large tourism potential, the park receives limited tourists due to security threats. The park boasts of a rich biodiversity, representing elements from both East and West Africa regions. About 57 mammal species have been identified over the years in the park. Animals species are found in the park include African elephant, lion, red-fronted gazelle, hippopotamus, buffalo, waterbuck, wild dog, cheetah, hyenas, crocodiles, black rhino and red hartebeest. Nearly 320 bird species have been observed in the region, mostly concentrated in the floodplains on the northern end of the park. Pelicans, African fish eagle, Ostrich, and shoebill inhabit the park. The national park has been listed as Endangered since 1997. Widespread poaching and illegal grazing in the region was estimated to have destroyed 80% of the park’s fauna. The destruction of the park’s biodiversity necessitated the Central African to contract the services of a private foundation (Manova SA). The park subsequently thrived under good management. The park is currently protected under the Ministry of Water and Forests, Hunting and Fishing in the country. 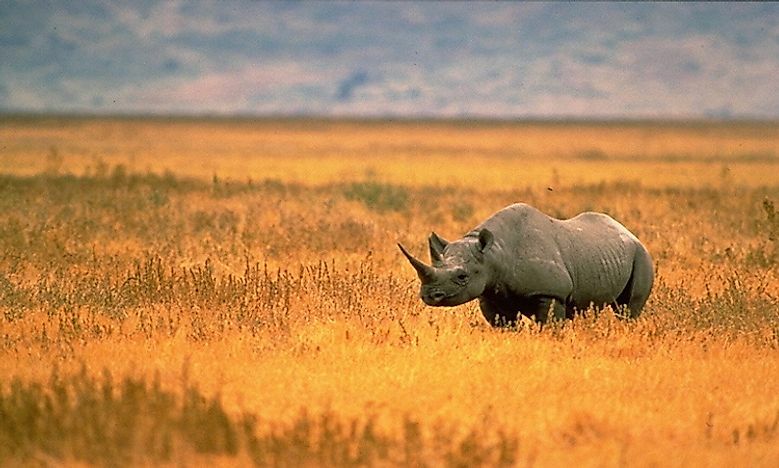 Inadequate personnel and inadequate facilities are the biggest challenges that anti-poaching police units face in the park.Poaching by armed hunters has significantly reduced the numbers of the black rhinoceros to a few countable species. The Poachers also target other animals such as elephants, lions, and hyenas. Illegal grazing, fires, human encroachment are other threats to the park’s sustainability. Environmental efforts have been initiated over the years, although inadequate personnel and insufficient funds significantly hinder their effective implementation. The park is home to one of the greatest African biodiversity and continues to be an environmental concern for the government and international agencies. The Glaciers Of Glacier National Park: Will They Disappear By 2030?